Snow is to India, what a desert is to an island. It is no secret that many of us book our flight tickets to witness the wonderful phenomenon of snow, to places outside India just so that we can experience a much more advanced nature of winter. For those who have been lucky enough to visit these sites outside India, your experience must have surely been unforgettable, and often enough even after months of that one international holiday, as winter approaches, you sit curled up with a cup of your favourite coffee and reminisce the glorious days of your winter holiday. India’s biggest positive is its geographical location, due to which it has various states with differing temperatures and landscapes. In the month of December, as the cold winds envelop the whole nation of India, it gets colder and icier in the north. It is here where tourists and natives witness the magic of snowfall and experience a different mood of nature; a more colder and more unusual form. To borrow a famous phrase from the hit TV series ‘Game of Thrones’, ‘Winter is here’, and with it brings the incoming cold winds and in the north, icier times. To take full advantage of these snowy times, you need to get out there and risk it all for the love of snow sports. And if you have been living under a rock, here’s your chance to come out and have some fun! 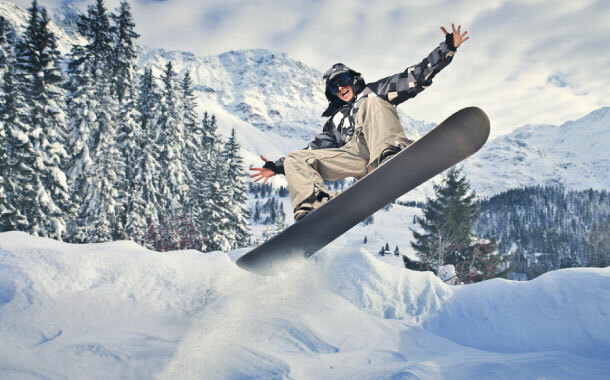 If you know the trick to monitoring and controlling your body weight, not in the literal sense, but rather in the sense of balancing yourself, snowboarding will be cake-walk for you. This sport activity requires of you to control the direction of movement by using your body weight strategically in order to help you glide down the slopes easily. 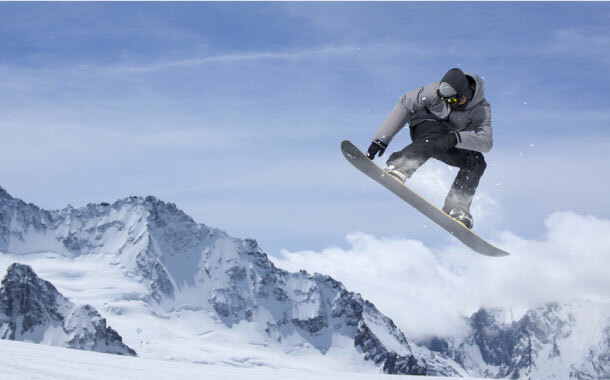 Snowboarding locations in India: Gulmarg is famous for hosting snow boarding activities for beginners and experts alike. Moreover, a basic training session is also held in order to help those jitters go away. 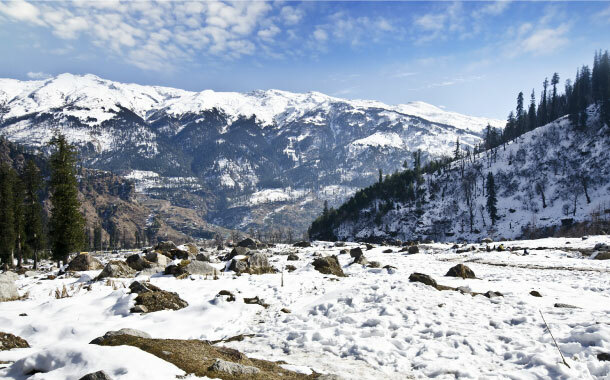 Rohtang, Narkanda, Kufri and Manali also offer snow boarding options. Unlike snow boarding, this is a much more relaxed snow activity as compared to snow boarding. Although this also requires you to monitor your body weight and manage it in the right manner to lessen the risk of toppling over, you have to sit on a sledge and race down the happy snow topped hills. The minor bumps probe you to manoeuvre the wooden sledge to avoid it from ramming into them - which in turn make the ride a lot more fun! To triple the fun, lie down on the sledge, and brace for impact! Snow Sledding locations in India: Snow Sledding is locally popular in Gulmarg, Rohtang, and Auli. It is a growing trend, and if you’re planning a family vacation on a hill station in the north, do try racing on a slow sledge! If snow sledding and snow boarding were one page of a book, ice climbing needs a whole new book written around it. It is difficult and requires a great amount of courage and physical strength. Similar to rock climbing, the added challenge of slippery snow and the dainty, brittle nature of ice combined with the super freezing temperatures, Ice climbing is definitely not a sport for the weak at heart. But if you wish to test your limits anyway, it is advised that you sign up for this adventurous sport when you are in your best form. Try working our for months and exercise your arm and leg muscles, both of which are extremely strained and are at the risk of getting a nerve pulled, which may sour the whole experience of ice climbing for you, forever. 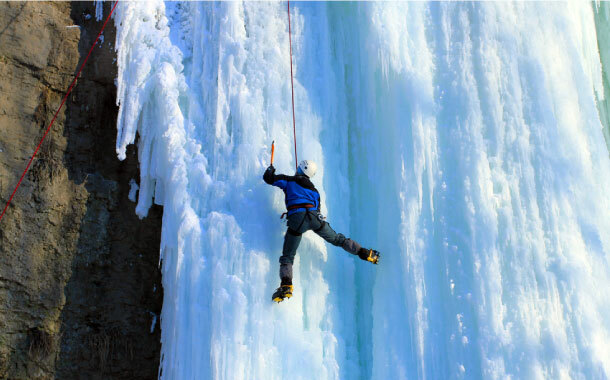 Ice Climbing locations in India: Kashmir, when in better times has many ice climbing locations, and some of the most challenging climbs can be found here. Himachal and Uttarakhand also have a lot of ice-climbing locations which require a daring heart and immense physical strength. Having amazing upper body strength is an added plus. Ice skating is very much like roller skating but with the thrill of ice and below normal temperatures. All covered in woollens from head to toe, ice skating is much tougher than roller skating. If you have tried to walk on thin ice or even snow, you know how difficult it is to just simply walk on ice and not slip. The balancing act is where the whole key to mastering the art of walking lies. If simply walking can be so difficult, roller skating on ice adds almost 5 times the risk of slipping. The bitter cold and the bulkiness of the woollens make it a even tougher task to master. But once you’ve found your way around it, it can get a whole lot enjoyable. Ice skating locations in India: The best place to meet and greet ice skating enthusiasts and to learn from the best in India is Shimla. Tourists from all over the world bond over the adventure sport of Ice skating and learn new tricks from across continents! Ice skating finds takers even in Ladakh and Kashmir. Ice Hockey is a sport that has a selective and dedicated audience. 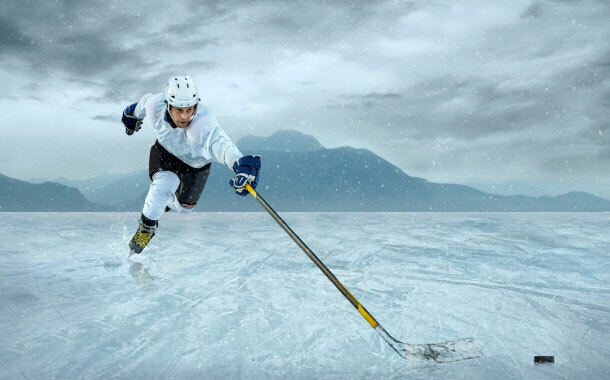 Although you can try your hand at playing ice hockey, the bigger grounds are available only to professionals. A visit to these turfs is highly rewarding and and is pretty similar to field hockey. A guided tour helps you understand the nitty gritties of the whole game and also provides an insight into the top teams, top players and the season of the game. Played over flattened ice, this sport is slowly, yet steadily drawing a majority of indians to become ice skating enthusiasts. Ice Hockey locations in India: This snow sport is played and followed the world over. However, in India, Ice hockey turfs can be found in the regions of Ladakh, Kashmir and Shimla. Several metropolitan cities in India have generated conditions in which ice hockey can be played indoors. However, experts say that the sport is best experienced when played in large spaces where there are little or no space restrictions.